Designed to look and work like natural teeth, dental implants are a popular alternative to dentures and bridges. As a top dentist in Chattanooga, TN, Dr. Chris Robertson has extensive experience with dental implants, helping patients at Chattanooga Dental Studio feel more confident about their appearance and their oral health. 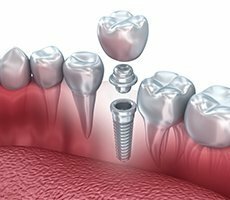 Dental implants are metal posts that are implanted into the jawbone and used to support a single prosthetic tooth or crown or to support a denture. Implant posts are made of medical-grade titanium, the same material used in joint replacement components. 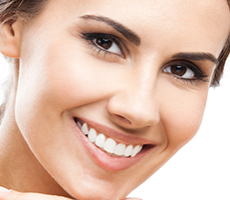 Implants are designed to look and function like natural teeth. What happens during the implant procedure? Most dental implants can be placed in three or four appointments. 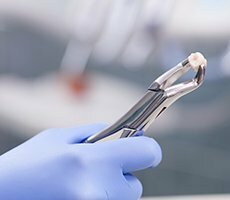 During the first appointment, the implant is placed in the jawbone and then allowed to remain undisturbed for several weeks, allowing the post to fuse with the surrounding bone tissue. When there is insufficient bone to support the implant, a bone graft may be performed to supplement the existing bone, so it’s strong enough to support the implant and crown or denture. 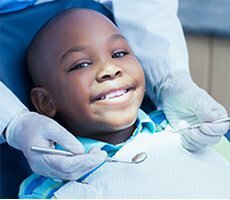 At the second appointment, a piece called an abutment will be attached to the post, and an impression will be made and sent to the lab where the crown will be custom-created. Each crown will be carefully shaped and tinted to match the surrounding teeth. During the third appointment, the artificial tooth will be attached to the abutment and shaped for a comfortable fit. 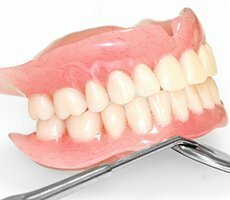 Are dental implants better than dentures or bridges? Because they’re attached to the jawbone, dental implants are much more comfortable and convenient than dentures and bridges, and they’re also very easy to care for. 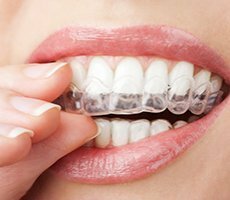 Patients don’t need to worry about sticky foods getting “caught” in their bridgework, nor do they have to worry about slippage or painful sore spots that can develop with dentures. Implants also don’t compromise other teeth the way a bridge can, and because the implant is placed in the jawbone, it helps stimulate the natural replacement of bone just like a tooth root, preventing bone atrophy that can occur with dentures and bridges. Bone atrophy can significantly increase the risk of additional tooth loss over time. Are implants hard to care for? 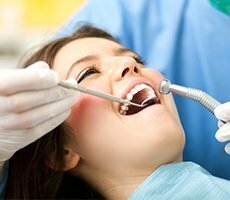 No, dental implants and crowns are cared for just like natural teeth, by brushing and flossing and with regular trips to the dentist to ensure the gum remains healthy. 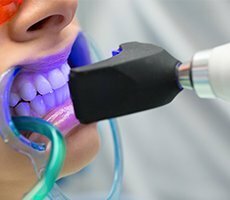 While the crown cannot become decayed, the gum can become infected or diseased just like the gum surrounding a natural tooth, so routine cleanings are important to ensure the implant remains firmly attached.